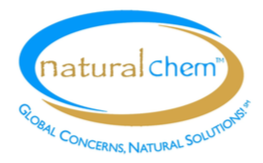 NATURAL CHEM, A MINORITY BUSINESS BRINGING BETTER FUELS TO AMERICA! Natural Chem is a minority business enterprise (“MBE”) with the majority of its equity owned by U.S. citizens of Hispanic origin (Mexican-American). As an MBE, Natural Chem responds to goals established by governmental agencies and private companies to do business with MBEs. Natural Chem’s expertise in motor fuels, marketing and distribution enables it to become a supplier of fuels such as biodiesel and biodiesel/diesel blends to many agencies and private companies seeking to do business with MBEs. All fuels supplied by Natural Chem will equal or exceed the ASTM standards for the applicable fuel. They are based on the use of renewable biofuels which produce less pollution when used in trucks, buses and cars. Natural Chem is establishing a footprint across America that currently includes the Midwest Region served by its Clinton Biodiesel Plant in Iowa; and the Southwest Region served by its Eco-Fuels™ blend terminals based in Portales and other New Mexico cities. Natural Chem also has acquired a site in Idaho as the base for its Pacific Northwest region and is also planning to acquire one or more sites in California for its CalWest Region. Natural Chem’s senior management includes Hispanics such as Robert J. Salazar,Esq., its CEO, Carlos R. Castro, Esq., its General Counsel, Frank Bustamante, its Senior Vice President|Project Development and John Aguirre, Esq., its Senior Business Advisor. All of the Hispanic management members hold college and professional school degrees. Their business development work is supported by three licensed professional engineers that have worked with firms such as Texaco, Dow Chemical and Stone & Webster Engineering. If your agency or firm is interested in doing business with Natural Chem, you are invited to respond with an inquiry indicating the fuel you buy, the volume you seek, the delivery time frame and the region where the fuel is to be delivered.